For this year’s Sportsbike Of The Year we went to the new (to us) track of Circuito de Navarra, so here’s a couple of gentle onboard laps aboard the (not so gentle…) new Panigale V4 trying to figure the place out! And sorry for the wind noise! Navarra is really awesome, but very tight and technical in many places and pretty bumpy in others, too! Well worth a visit if you ever get the chance! 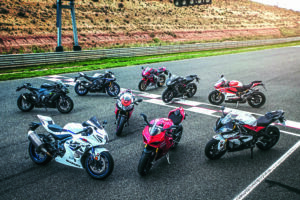 SBOTY 2018 features nine of the best sportsbikes you can buy, where we find out which is the absolute daddy in a dynamic sense – which is quickest! So, of those nine bikes, which won? Find out in issue 341, July ’18 – OUT NOW! For now, enjoy the onboard laps! 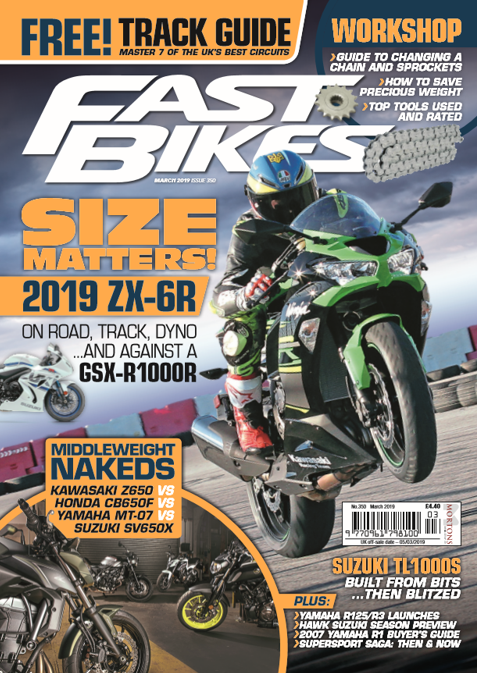 Previous Post:2018 Aprilia Tuono V4 1100 Factory V Triumph Speed Triple RS – Out Now! 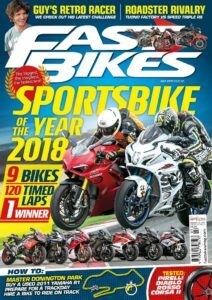 Next Post:Watch – Sportsbike Of The Year 2018 – Ducati 959 Panigale Corse – Dyno Run!